Understanding how methylation plays a role in chronic disease was the focus of the Methylation 2018 Summit in Chicago, Illinois (July 13-15, 2018). 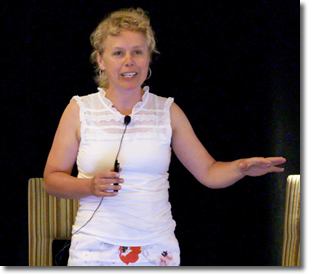 The conference was jointly organized by Dr. Carolyn Ledowsky, a naturopath from Australia whose practice focuses on methylation, and Researched Nutritionals. Her clinic, MTHFR Support Australia, focuses entirely on methylation. The methylation cycle turns genes on and off by transferring a methyl group between proteins. This transfer of methyl groups is also involved with a range of critical metabolic issues including detoxification, processing hormones, forming phospholipids to repair cell membranes, and supporting neurotransmitter levels. Dr. Ledowsky presented multiple lectures throughout the conference. She began with some basics about genetic SNPs (single nucleotide polymorphisms) including methylation, the folate cycle, and the sulfur cycle. Throughout her lectures she used a pathway planner that detailed the biochemistry of these cycles, including the nutritional cofactors involved in each reaction along with environmental factors that would positively or negatively impact a specific genetic SNP. Her focus throughout the conference emphasized how our environment impacts the biochemical cycle of methylation through epigenetics. 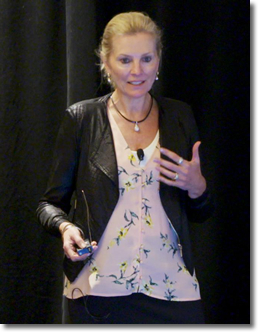 After Dr. Carolyn Ledowsky's introduction on epigenetics, Dr. Nicole Bijlsma gave two presentations on the impact of environmental chemicals on our genetics. In Australia, she is an expert on the impact a home or office building has on health. She described in detail how mold can infect a house and cause chronic insidious symptoms in people from recurrent miscarriage to tinnitus. Mold overgrowth is a problem in many more homes than people realize. Because of genetic susceptibility and poor ability to detoxify, some people will have much more serious issues from mold than others. Dr. Bijlsma, along with several other presenters stressed the importance of supporting your ability to detoxify with glutathione for mold and other environmental toxins, such as organophosphate pesticides and heavy metals. Dr. Andrew Rostenberg and Dr. Carrie Jones each discussed specific genetic SNPs that impact targeted health issues. Dr. Rostenberg elaborated on genetic SNPs that are critical for mood and behavioral issues such as COMT and MAO. If a person has different forms of the enzyme COMT based on different genetic SNPs, they may have either low or high dopamine and catecholamines. Elevated levels of dopamine are associated with high motivation but also anxiety and perfectionism. On the other hand, low dopamine is associated with difficulty waking up in the morning, low motivation, and addiction issues. Luckily, there are nutritional supplements that may help increase or decrease dopamine depending on COMT status and symptoms. Critical information for all of us to know to help our patients. The enzyme COMT is also involved in estrogen and other hormone metabolism, which was the focus of Dr. Jones's lecture. Depending on COMT status, estrogen can be broken down by different pathways.Some metabolites of estrogen may be beneficial while other metabolites may increase breast and other hormonal cancer risks. Urine testing can show the multiple breakdown products of estrogen and their ratios to understand the biochemistry of each individual woman. By understanding these ratios, specific supplements such as DIM may be helpful. Learning when to use DIM versus other supplements such as sulforaphane was a good clarification for practitioners. The last few lectures at the conference went through case studies, providing examples of how to successfully implement protocols based on genetic and environmental susceptibility. Dr. Ledowsky was full of clinical pearls about different genetic SNPs and supplements that impact them. Overall the conference was very informative about how to include genetic and environmental susceptibility into clinical practice protocols to maximize patient outcome.